Warm up, cool down or build heat. 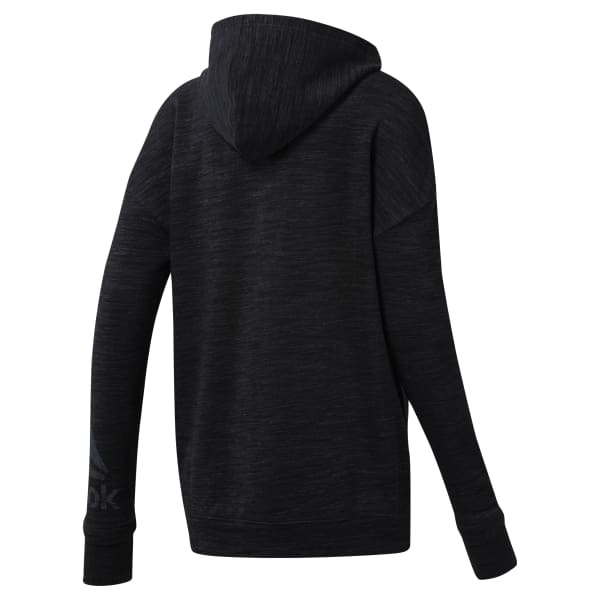 This women's hoodie comfortably layers over your gym clothes, with a loose fit and a full zip. The soft French terry pullover has a subtle mélange look and kangaroo pockets that keep small essentials close.